Hello Friends, This year’s Google IO is Christmas in advance with very exciting announcements. Today first of all we will see the features list I have compiled . Lets see Google IO 2017 highlights android developer. KOTLIN is now officially supported language for developing Android apps.Its challenging and exciting to learn a new programming language. It not only declare a new skill set in your learning but also give you enough idea of how the modern programming language works. The great part about this is that Kotlin works side-by-side with Java and C++, meaning you can add new code in Kotlin and keep existing code in Java. Kotlin reduces the amount of code you need to write which makes it a much more concise language. It can also help avoid null pointer exceptions as it introduces nullable types. It is already compatible with IntelliJ and Android Studio. There are many more features of Kotlin that I won’t dive into here. Check out the official Kotlin documentation. One of the other big announcements was the Android Architecture Components Libraries. Previously the Android team refrained from giving advice as to how you should structure your Android applications. For the most part this meant that anyone learning Android for the first time would just end up placing all their code into the Activity files and occasionally moving stuff into an AsyncTask if the app crashed with a NetworkOnMainThreadException. Now the Android Team has given guidelines for writing new applications on Android, these can be found here. Room – A SQLite object mapper. Very similar to other libraries such as ORMlite or greenDAO. It uses SQL while still allowing compile time guarantees on the queries. LiveData – A Lifecycle aware observable core component. ViewModel – The communication points with the rest of the application for Activities / Fragments. They are UI code free and outlive the activity or fragment. Lifecycle – A core part of the Architecture components, it contains information about the lifecycle state of a component (for instance an Activity). LifecycleOwner – Core interface for components that have a Lifecycle(Activities, Fragments, Process, your custom component). LifecycleObserver – Specifies what should happen when certain Lifecyclemethods are triggered. Creating a LifecycleObserver allows components to be self-contained. There are many improvements that have been added to the Android Support library in the latest release 27.0.2 as of now. Physics-based animation:New Fling Animation and Spring Animation are included in the update. Emoji Compatibility library – This means you no longer need to see unknown shapes when certain emojis aren’t available on your platform. Downloadable Fonts and Font Support – Now you are able to use custom fonts in your application without having to use third party libraries. It also means you don’t have to package common fonts in your apk file which results. The Android Studio 3.0 is released with major updates,including conversion to Kotlin integrated with IDE.Built in conversion tools does a great job in converting your existing Java code into Kotlin code. If you also paste any java code into Kotlin file then it will automatically converted to Kotlin code. With the launch of the public SDK at this year’s Google I/O, Instant Apps are available to everyone. It’s exciting news for all developers out there who can’t wait to get their hands on the SDK and start building Instant Apps. 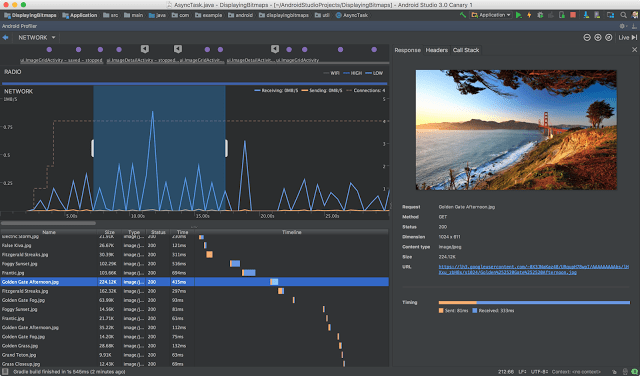 Google has also built support for this feature into the new Android Studio. The IDE now allows you to modularize your app and make it an Instant App with ease. You don’t need to create a new app or maintain a separate codebase for Instant Apps, all we need to do is modularize your app properly on the basis of separate, isolated features. Firebase is open-sourcing some of its client SDKs on GitHub . 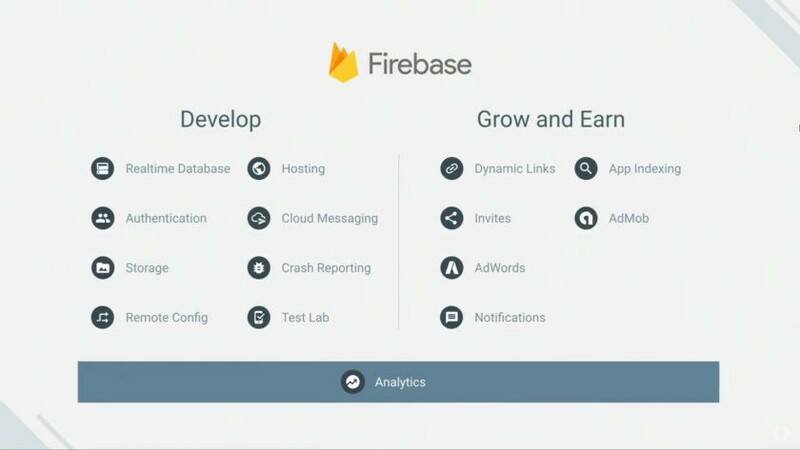 Fabric joined hands with Firebase, things have been evolving at a much faster pace. At Google I/O, the partners released the Firebase Phone Authentication, which lets you sign in users with their phone numbers seamlessly. Moreover, it’s free for up to 10,000 verifications per month. With a huge focus on app performance and quality, Google also announced the Firebase Performance Monitoring tool, which gives you deep insight on various performance metrics (such as app startup time, network performance, etc.). Now Google console gives you really useful insights to improve your app’s stability (crashes and ANRs), battery consumption (excessive device wakeups), and UI rendering time (frame rate). New Addition of Device Catalog in Play Console will show rich data for thousands of Google-certified devices running Android. The catalog will display total install, cumulative rating and revenue for a particular device where your app installed. Other updates to Play Console such as the Statistics page, Financial Reports page, Release Dashboard, Pre-Launch Report page and more. Android has over 2 billion monthly active devices. But gap is there due to less budget in addition to poor internet connectivity. Android Go will basically be a lightweight version of Android O, which will automatically kick in for any device with no more than 1GB of RAM. The OS is therefore optimize to run smoothly on such low-end devices. As a result, Google Play will automatically start promoting apps that meet these criteria and can run flawlessly on any entry-level device. Seems like Its company policy to acquire more revenue in developing countries like India.